Comedy Central has launched its very own Australian Comedy Central website, featuring locally produced Aussie videos, satirical editorial news, exclusive Comedy Central web-series and international highlights from U.S. shows. The Comedy Central website features a catalogue of parody and satirical articles, which celebrates the brands off-beat, provocative view of the world. The articles are spearheaded by the newly appointed Comedy Central digital editor, Cyrus Bezyan. A seasoned comedian, screenwriter and somewhat a celebrity himself, Cyrus has performed at the Melbourne International Comedy Festival, Sydney Comedy Festival, Sydney Fringe Festival and Splendour in the Grass Music Festival, and was a national finalist in 2014 Triple J RAW. A man of many talents, Cyrus also recently performed a sell-out season of his stand-up show Reluctant Confidence Man at the 2015 Sydney Comedy Festival, launched the show Conspiracy Theories at The Chaser’s Giant Dwarf Theatre and has written for several TV shows. Throughout 2016, comedy lovers can look forward to an array of videos from Aussie comedians, YouTube stars, sketch groups and live comedy events. The first to be launched on the site in early 2016 is the Australian absurdist sketch group, Aunty Donna. The Melbourne based trio consisting of Mark Samual Bonanno, Broden Kelly and Zachary Ruane have performed at Edinburgh Festival Fringe, Melbourne International Comedy Festival and Melbourne Fringe Festival. In 2015, they were one of five comedy groups chosen as part of the ABC and Screen Australia’s Fresh Blood Pilot Season joint initiative. As well having access to an array of Aussie material, fans can also access highlights from Comedy Central smash hits such as Inside Amy Schumer, The Daily Show, Broad City, South Park, Key & Peele, Workaholics, and more, as well as exclusive full episodes of Comedy Central web-series straight from the U.S. These digital only productions are part of Comedy Central’s development pipeline known as ‘Not For TV’ which has resulted in shows such as the highly successful series Broad City. If you’re a live comedy enthusiasts, then you’re in luck. The website also contains pages dedicated to stand-up comedy and the world famous Comedy Central Roast, where you can catch up on the most hilarious and brutal moments from the roasting of celebrities such as Justin Bieber, Charlie Sheen, David Hasselhoff and Donald Trump. Other categories include Bench Warmers, (because there’s not enough sports coverage in the world) Technophobes, (for science geeks) and Taste Bud, (a cooking craze parody). 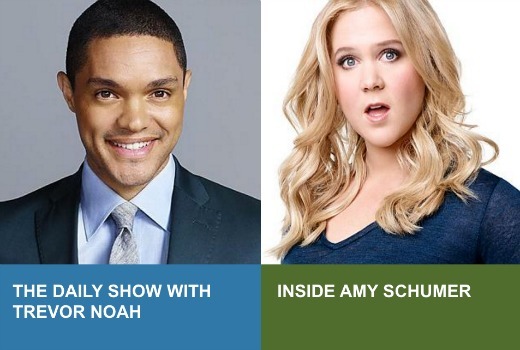 So after all those years of blocking access to clips of Jon Stewart and Stephen Colbert, now we get access to highlights from Amy Schumer and Trevor Noah, as well as those roasts that have already been on Comedy Channel hundreds of times? Thanks, Comedy Central! Makes me wonder if this is Comedy Central’s first step in attempting to purchase The Comedy Channel from Foxtel. I’m sure they would prefer to offer it both in NZ and here. Not to mention it is surely only a matter of time before the government realise Foxtel’s monopoly on channels is affecting the ability of other STV services to launch and operate (look at how Fetch TV is affected – only being offered TVH!TS out of some 30 channels owned and operated by Foxtel). Just checked it out and the site is slow just loading pages. Tried to watch a video but it started buffering after the first couple of minutes. It’s 2016 – if their content delivery system can’t stream video fast enough to keep up or adapt the bitrate to work around transmission chokepoints, I’m not interested. The content is not compelling enough to have me sit thru these issues.